Chrystal has been drawing animals forever! She has shown her block prints, artists books and drawingsin the Boston area and has been completing freelance professional projects for clients since 1993. In all media, her work has action, life and a powerful yet accessible quality of solid design, natural appeal and a range of personality from fun to ferocious. 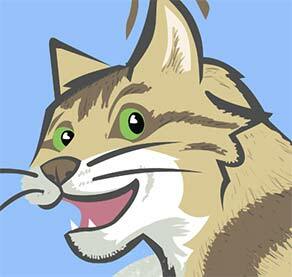 Chrystal’s artwork is the face and flavor of a variety of sports and animal related clients from ski resorts, university athletics, outdoor education, hunting/fishing related businesses, dog clubs, breeders and outdoor/dog events. Clients hail from around the corner in Vermont to around the US, Canada, the UK, Germany, the Netherlands, and Japan. 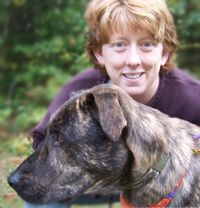 Chrystal is an outdoorswoman and enjoys hiking around the forests, ridges and sedge meadows in all weather and seasons with her four striped dogs.